A sprawling and scrambling, medium to tall grassland perennial. 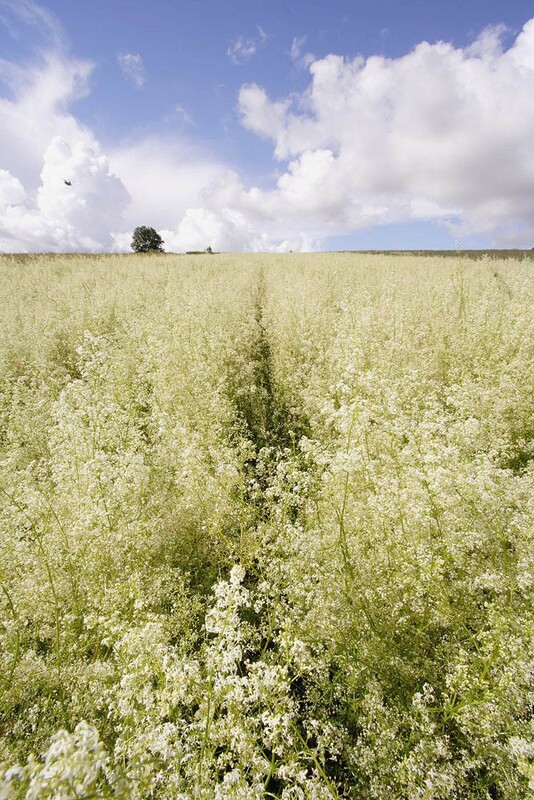 In common with most other bedstraws, hedge bedstraw has a square stem with whorls of undivided leaves and clusters of small white four petalled flowers. Distinguishable from other similar bedstraws by its smooth stem and relatively broad leaves (no more than five times long as wide). 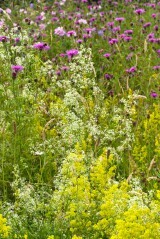 Could be confused with Heath bedstraw but differs in habitat and the seeds (actually small dry fruit) differ. See next species. N.B. 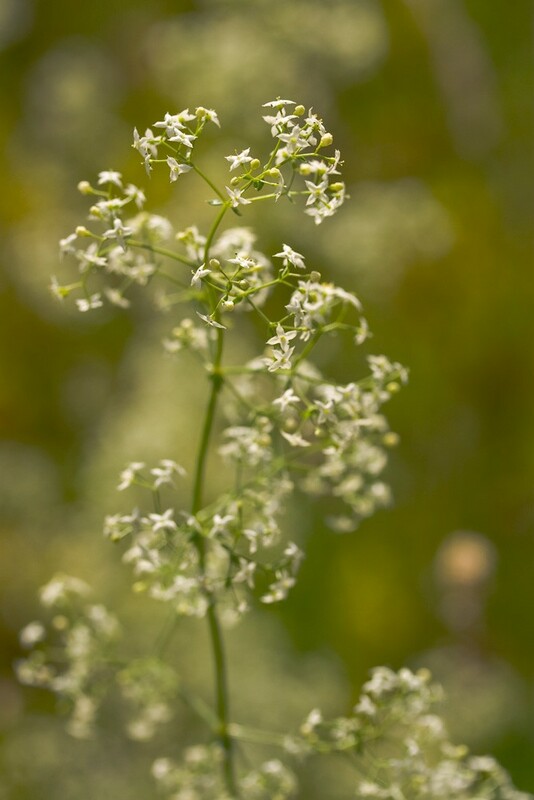 Until recently this species was known by the old botanical name of Galium mollugo but that name has now been given to a similar species found in continental Europe and North Africa. 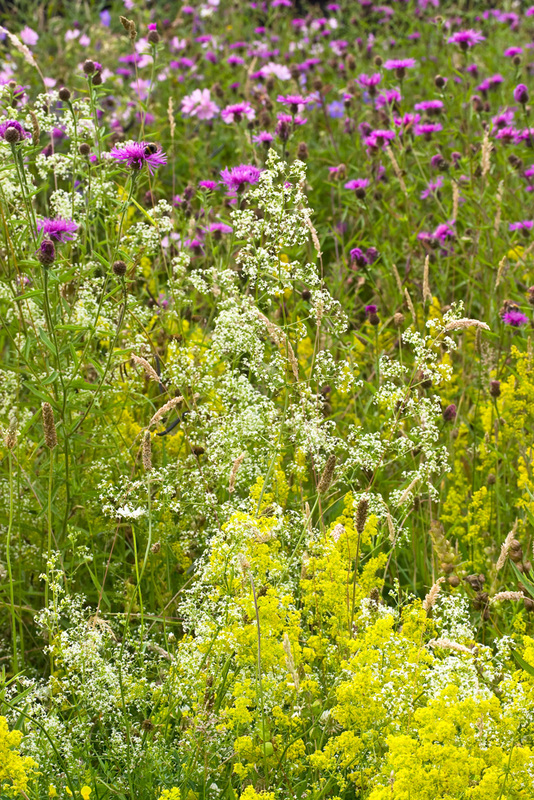 A perennial herb of rough grassland, hedge banks, woodland edges and scrub on well-drained, calcareous soils. 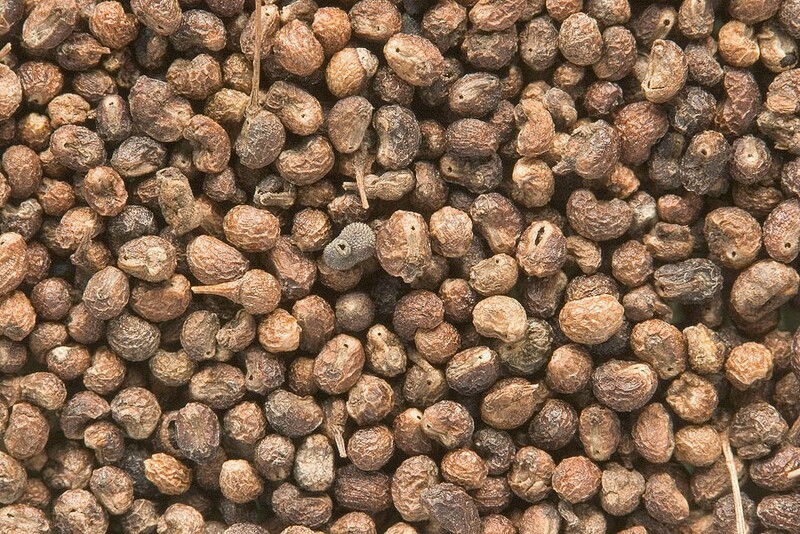 It produces seed readily but can also spread by stolons. A native, it is common throughout the southern half of Great Britain but is absent from large parts of north west Scotland and is not native to the island of Ireland.